Job searching takes time. Lots of time. Much of this time is wasted on tasks that can be simplified–if not completely cut out–by getting organized during the job search process. Here are five tips to help you get organized in your job search so you aren’t bogged down with busy-work. With your new found time, you focus on what will really land you the job of your dreams—networking, customizing your resumes and cover letters, and preparing for interviews. If you’re not directly visiting the websites of the companies you want to work at, you’re missing out on key job opportunities. While it’s true that plenty of jobs are posted on websites such as Craigslist, Indeed and similar job search sites, the majority of openings never make it past the company’s Careers page. So, save yourself some crucial time and energy by going directly to the hiring company’s jobs page if you want to know about their current openings. By bookmarking the Careers pages of all of the companies you want to work at, then organizing them in a folder (see Step 4), you’re saving yourself tons of time and dramatically increasing the number of legit jobs you’ll be able to apply to. Creating saved job searches takes even more of the busy work out of researching jobs, allowing you to spend more time on those tasks that really matter. While each site calls the function something slightly different (‘saved search,’ ‘search alert’ and so on), sites like Craigslist, Indeed and LinkedIn allow you to search for a job and save the search parameters. They’ll send you an email notification each time a job that matches those parameters is posted to their site. You can set similar search alerts with Google Alerts or any other preferred search platform. You can also change the search alert frequency to ‘daily’ so job opportunities are bunched into a single email, saving you even more time. Just a few minutes of your time and your inbox will begin filling with job opportunities! Statistically speaking, the best way to land a new job is still via networking. Most positions are never even posted online because often they are filled through word of mouth referrals or recommendations. Before spending your valuable time filling out applications, you should be checking if any of your friends, family, colleagues or other connections work at the hiring company. This process can often seem time-consuming, but can be simplified by using LinkedIn’s job searching features! Furthermore, LinkedIn allows you to export a list of your connections, their current company and position, and other relevant information into a spreadsheet. After you’ve downloaded this list, search it each time you apply for a job. If one of your connections work there, ask them for a referral! This can often lead to your resume going directly to the hiring manager, with a much higher chance of getting read. While you can do this search via LinkedIn using the ‘Current Company’ field, the first method (exporting your contacts) is much quicker. Plus, the spreadsheet allows you to filter your results by company name, and then sort with color coded columns and add notes each time you reach out to someone. So much customization! This job searching stuff is stressful in itself. Don’t let your lack of organization be an added stressor. You don’t want to be called in weeks or months later for an interview, only to find that the hiring managers remove the job posting and you forgot what position you applied to. Avoid the awkwardness—take a screen capture of the job posting. While you’re at it, create an individual folder for each company you apply to. Don’t just save your customized resume and personalized cover letter in the folder, but also add a screen capture of the job posting including the full job description, responsibilities, minimum requirements, desired skills and education. Add in an Excel or Google Sheets to log every place you apply to. Include the company name, position and how you submitted your application. 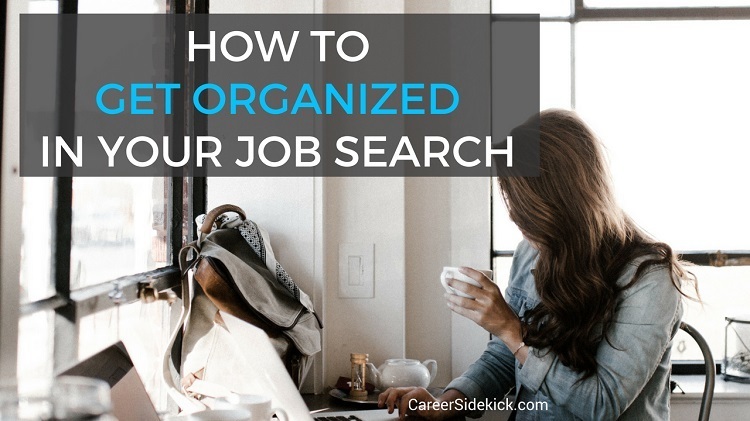 This is a powerful way to get organized and keep track of everything going on in your job search. In addition to using a spreadsheet, consider downloading Streak (it’s free!). 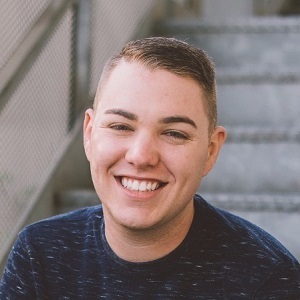 Streak is a tool for your inbox that allows you to create a ‘box’ (a folder) for each job applied to, helping you stay organized throughout your job search. For us night owls, Streak allows you to delay sending emails. If you’re working on applications at 2 AM, but don’t want them to go out until the morning, you’re good to go. Now, go send out some applications! NOTE: I am in no way, shape or form connected with Streak, other than being someone who uses the product. I did not receive any form of compensation in return for mentioning Streak.